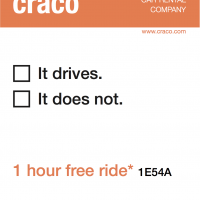 CRACO is a car rental company that is about low cost and bad quality cars. This campaign is targeted towards college students or the lower-income community who don’t give priority to clean or nice cars and would rather pay less. I had to create 4 forms of advertisements for this assignment. 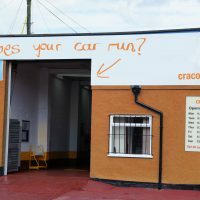 there will be a garage drive-thru located in populated area’s by the road where a scientist can “evaluate” your car.